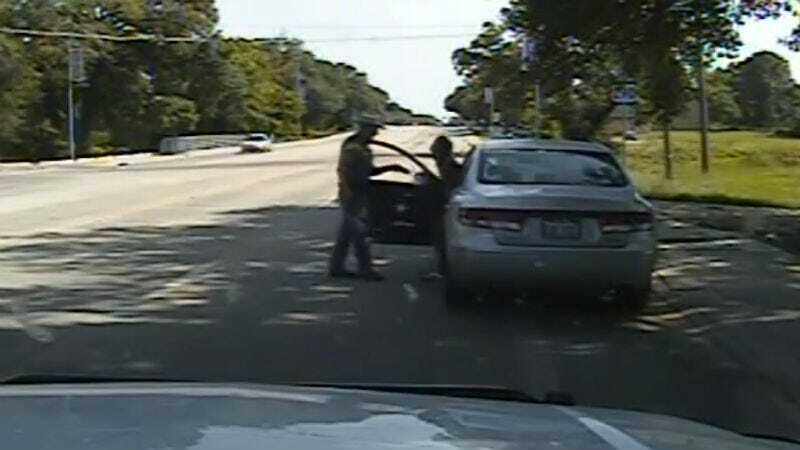 Brian T. Encinia, the trooper who arrested Sandra Bland in 2015, has been indicted on a charge of perjury, a Class A misdemeanor. According to the New York Times, Encinia’s charge was announced at the closing of a Texas grand jury’s deliberations. He faces up to one year in jail and a fine of $4,000 if found guilty. Bland was arrested by Encinia last July for failing to use her turn signal. Days later, she was found dead in her cell. In December, the grand jury declined to bring charges against the Waller County jailers and special prosecutors hinted that there could still be charges brought against Encinia. Bland’s family have filed a wrongful-death suit and have called the grand jury proceedings a “sham.” They feel finding justice in Sandra’s death as a hard road ahead. Encinia has been relegated to desk duty since Bland’s death.